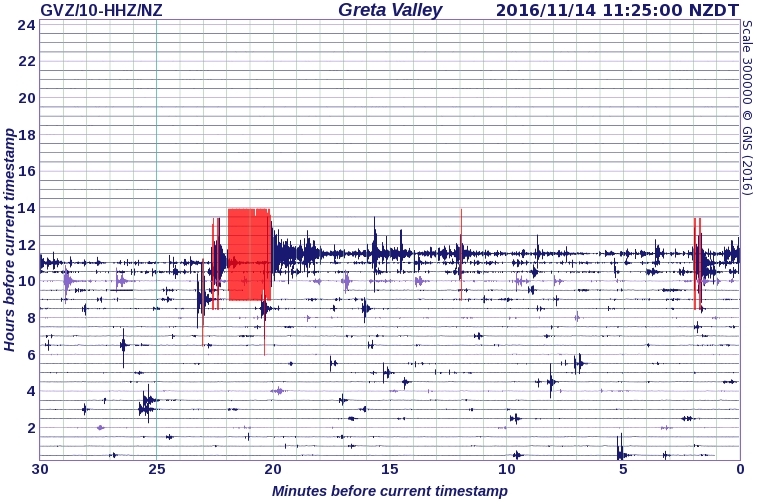 A big earthquake at midnight last night on the Northern end of South Island New Zealand was a major incident with various implications for incident/disaster management. I'd like to pick up on a few security awareness aspects while the incident is fresh in my mind and still playing out on the NZ media as I write this. There is a lot of effort put into preparedness for such events, across the whole country. For instance, the central safety message "Drop, cover, hold" is simple, widely repeated and used consistently in a variety of media and situations. Even the iconic images and colours (lots of black-and-yellow, warning colours with a strong biological basis) are consistent. Schools run classroom teaching on it. Websites and public safety demonstrations repeat it, frequently. There are flyers and leaflets, plus local, regional and national exercises to practice the actions, with extensive media coverage. "Get ready, get thru" is a strong theme. Full marks! [I have a slight concern about tourists and visitors new to NZ: how are they informed? I appreciate the mixed messages in "Welcome to NZ. Learn how to survive your trip ..." but public safety must be a high or top priority, surely?]. The preparedness extends to a nation-wide resilience, a cultural aspect. People are genuinely concerned for each other and willing - in fact keen to help out. The news reporting naturally and genuinely emphasizes the human angles as well as factually describing the situation. Today we've heard from farmers worried about damage to their stock water supplies and milking sheds, civil defence and insurance people talking about what to do now, and MPs talking about their families - a broad spectrum. 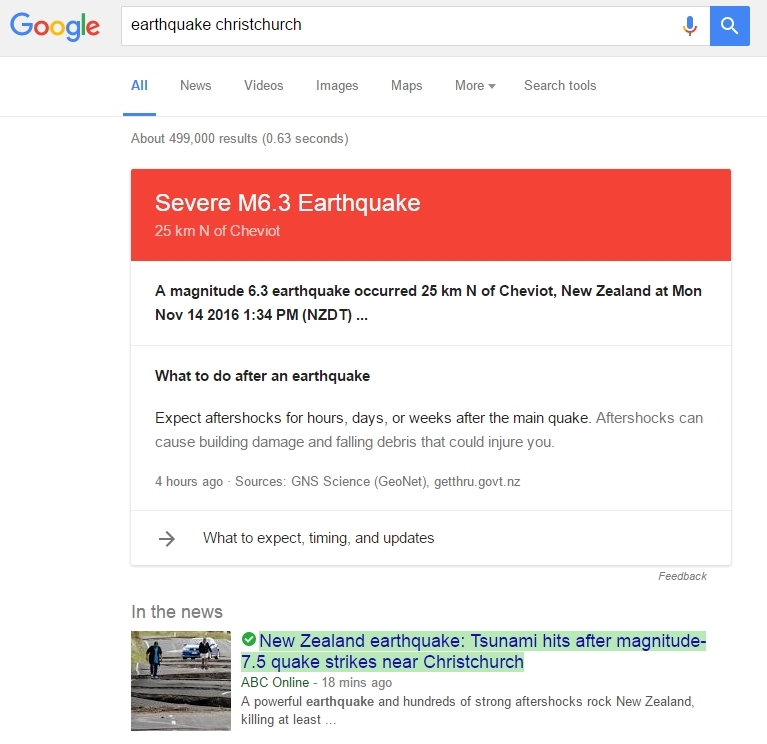 We are still getting occasional stories about people patiently waiting for their quake-damaged Christchurch properties and services to be repaired, and there is genuine concern about the traumatic effects of the latest quake and aftershocks on survivors of the Christchurch quake in 2011. PS Even Google is playing its part. I've just noticed the red message at the top of a query I did to find links for this very blog piece. Good work Google!